Get ready for the most fun cooking session you've ever had! Forget the traditional ingredients and get ready to put in your pan fresh frog legs, bat wings, unicorn horns and other crazy ingredients that will make our princess see the rainbow. 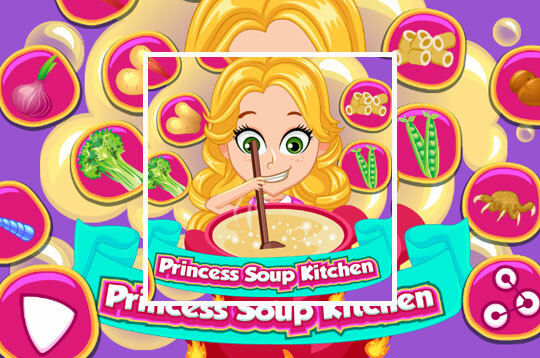 - Play Princess Soup Kitchen Free and Enjoy!